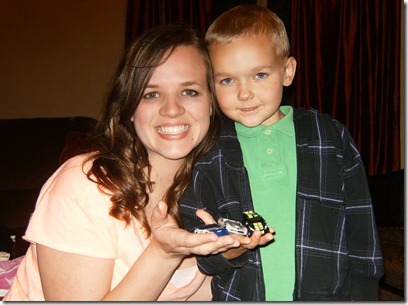 Brody and Auntie Lacie showing their Transformer Cars. 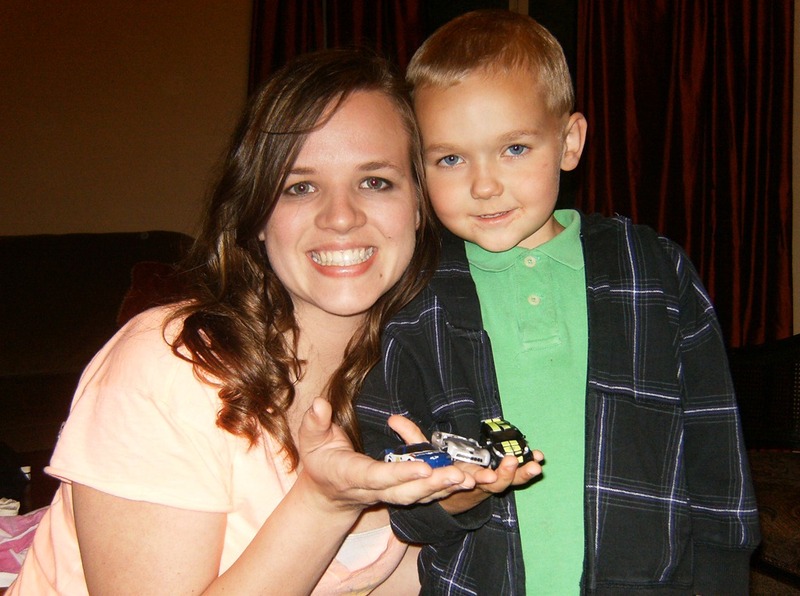 We told Brody that he could get any toy at Fred Meyer but all he wanted was a little $5 Transformer car. We said he could get more but he told us he only wanted one. 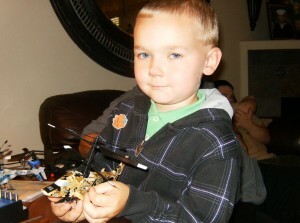 But then Lacie told him he should get one for her and one for Uncle Josh. So we bought three. Then when we got home Brody says to me, “Uncle Josh, do you think since we are buddies that we could trade?” So since we’re buddies I told him yes. What a cute kid. 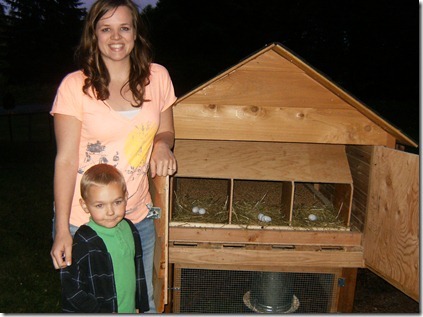 Brody and Auntie Lacie checking out the chickens. Thank You, Josh & Lacie, for sharing your weekend with us all. Brody is the SWEETEST, little boy, He crack’s me up, he’s so smart! We were fortunate to spend a little time with him, watching “Uncle Josh play hockey!! I like how you worded we “got” to watch him! “Lacie, you look Fantastic”!!! With Lot’s of Love, Mom & Dad!